I keep hearing it’s the year of vegan and frankly, im starting to believe it! Hellmans is making an egg free mayo, Ben and Jerry’s is releasing FOUR vegan ice cream flavors, I got to order gardein “chicken” tenders at an Irish pub! Although I prefer less processed foods then those- it’s a step in the right direction. I fly a lot and am lucky enough to get to sit in first class often. One of the best things about first class is the MEAL! Since going vegan, even when I have first class, I always grab a water and a banana. Usually first class breakfasts are some kind of omelette and then a sausage something. I typically end up with a tiny bowl of fruit- BUT NOT TODAY! 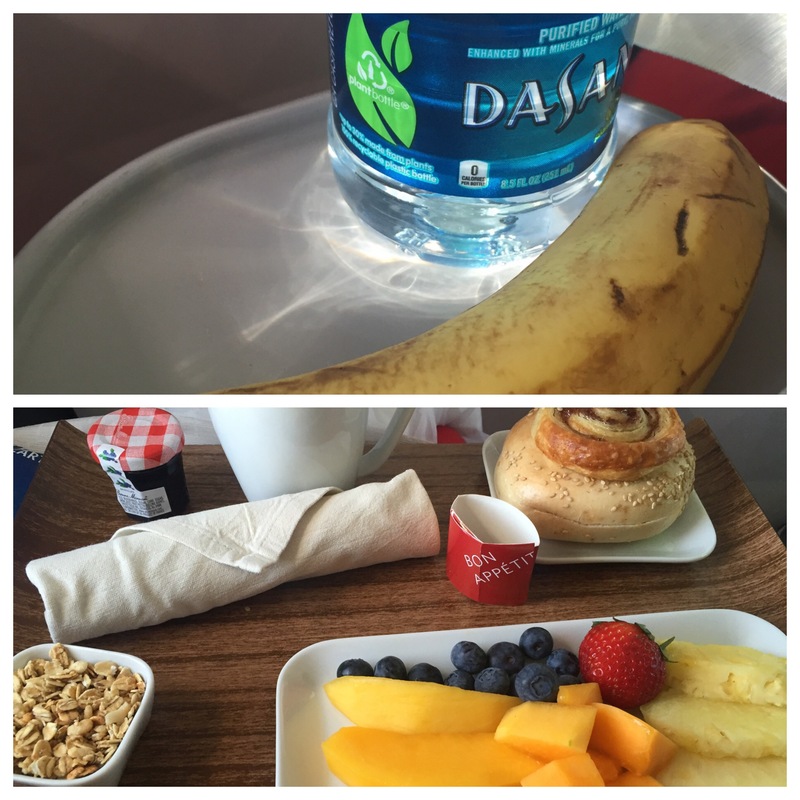 On my flight this morning I had a great breakfast! A beautiful fruit plate, granola, and a bagel! Thank you Delta!